Two American tourists vacationing in Ireland died Monday when a horse-drawn carriage overturned, throwing them into a rocky ravine roughly 20 feet below. Rosalyn Few and Normand Larose, a Phoenix, Ariz., couple in their 60s, were traveling in the Gap of Dunloe in County Kerry. 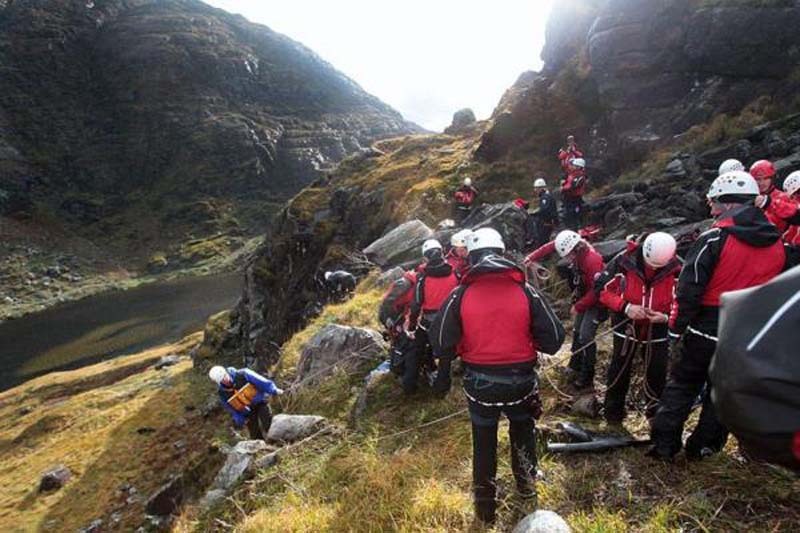 Their bodies were recovered by the Kerry Mountain Rescue. "We're used to watching happy tourists. This casts a huge cloud over things. It does cast a shadow in the Gap, but it casts a big shadow somewhere else in the world today," said Gerry Christie, a member of the rescue team. Few's daughter, son-in-law and their two children were traveling behind the couple in separate carriages at the time of the incident. Junior tourism minister Brendan Griffin offered sympathies and condolences to the families of the victims. "It is deeply upsetting to hear the news of the tragic accident that has claimed the lives of two tourists on holiday in Kerry," Griffin said. "Everyone in Kerry is truly shocked and saddened." Paul O-Neill, president of the local chamber of commerce, said the "whole town was in shock. We don't know what happened. All we can do is support this family in any way we can." Officials do not know what caused the crash, but said it happened after the horse stumbled. The driver was able to get out of the cab and survived. The horse also suffered injuries and was euthanized.